From Garden to table is inspired by the community who value growing and cooking fresh produce. The idea is for families to attend the garden with their children during the student's planned gardening sessions with the school or after school. From Garden to Table is one of few programs in Hume to combine a community garden, horticultural education in schools and cooking of fresh produce. It will teach the children the importance of healthy eating, improving students’ educational achievements through nourishment. By bringing family to school, we hope to hand down skills and knowledge of gardening and horticulture to the next generation and engage our students in an outdoor education program. If you wish to get involved and assist classes with their gardening sessions, ask to speak to the Community Hub Coordinator at the office about volunteering in the From Garden to Table Program. 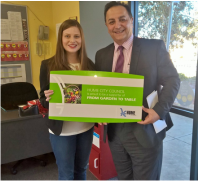 From Garden to Table was launched on 31st July with the Hume City Council Mayor Adem Atmaca and Vasili from 'Vasili's Garden to Kitchen' television program. 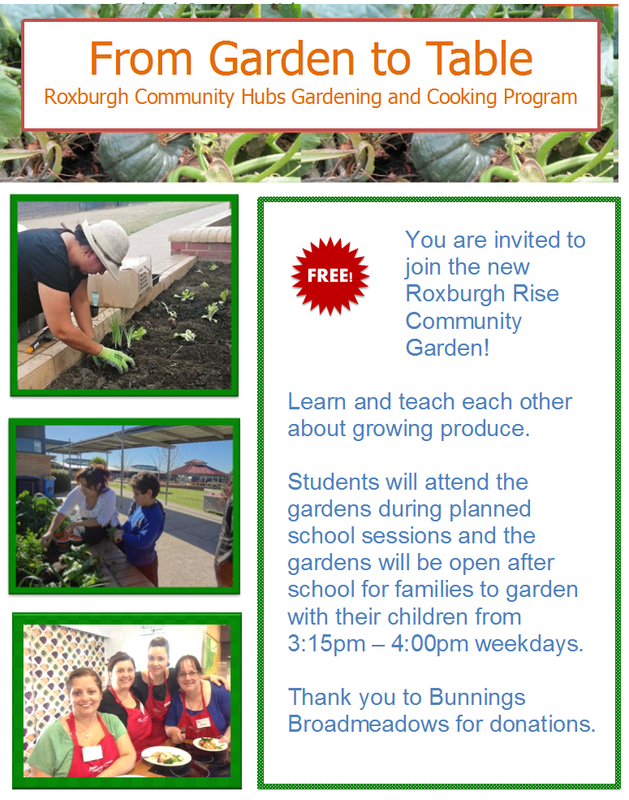 Thanks to the Hume City Council's Community Grant and Growing Idea's Award, the project was able to happen. View the episode of channel 31's Vasili's Garden featuring the launch of our Community Hub program, From Garden to Table.